ask patrick: ...about a holiday giveaway WINNER! ...about a holiday giveaway WINNER! Congrats to AMANDA KENNEDY!!!! You have 24 hours to comment below to claim you custom-made wreath!! And don't forget to check out all my wreathmaking tips here. YEAH I won!!! !IM gonna cherish this ALWAYS!!! So happy for you Amanda!!! Email me at hatrickdesign@aim.com so we can discuss the details of your very own custom creation!! Congrats Amanda! Lucky girl! Be sure to show us your masterpiece! Congratulations Amanda! 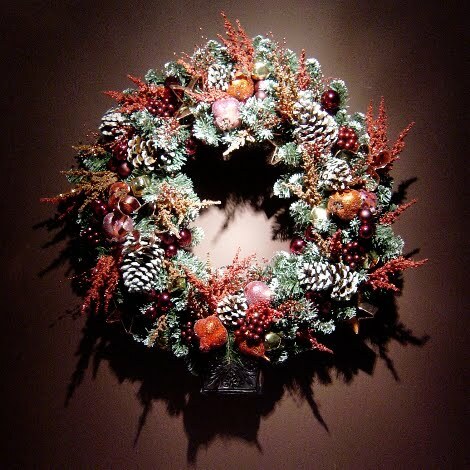 Yes, I would love to see the wreath Patrick has design for you.